How Quickly Does an Avocado Turn Brown? This avocado is ready to peel and cube. Creamy avocados complement salads, garnish foods and, of course, are the main ingredient in guacamole. A ripe avocado is firm but yields to gentle pressure. 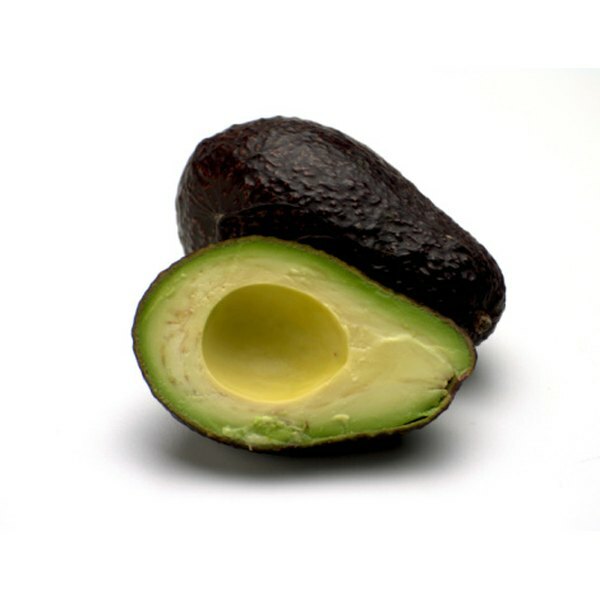 Haas avocados have a thick, dark-green bumpy skin which darkens as it ripens. Fuerte has a light green smooth skin. While they can be used with cooked ingredients, avocado corn relish is an example, avocados are best used fresh. Cooking them destroys their flavor and texture. Select the seasoning for the avocados based on the dish you're preparing. Wash the avocado. Cut it in half lengthwise without cutting through the large seed in the middle. 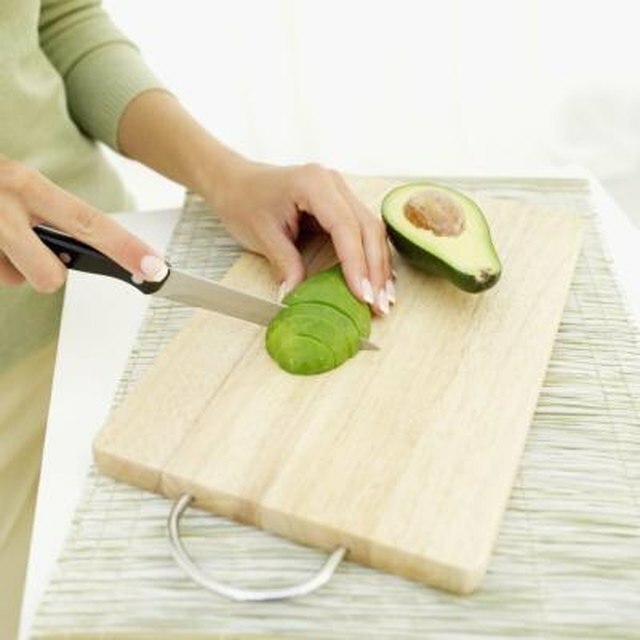 Hold the cut avocado in one hand. Put your other hand on the top of the avocado. Twist, and the top half should easily come off. Still holding the bottom half in your hand, whack the seed with a knife blade, so the knife penetrates into the seed somewhat. Lift the knife and the seed comes with it. Cut the halves into quarters. Put the tip of the knife between the skin and the flesh of the avocado. Lift the skin, removing it, while pulling it downward. It should peel right away. Cut the quarters into rough 1/2 inch cubes. Place in a bowl. Combine the fennel seed with the red wine vinegar, oregano, scallions and basil. Pour over the avocado cubes. Toss so that every surface of the avocado comes in contact with the red wine vinegar. Salt and pepper to taste. Add the olive oil to the avocados. Serve over a tossed salad of sliced red onions, cucumbers and torn romaine lettuce. Add the lemon and lime juice, crushed garlic, cumin and red pepper flakes. Whisk until smooth. Pour the juice mixture over the cubes. Toss to coat. Roughly chop the tomatoes, jalapenos and jicama. Toss with the avocado cubes. Salt and pepper to taste. Make avocado corn relish. Saute the 2 cups of corn until browned in a 2 tbsp. of olive oil. Place in a bowl. Add 1 finely chopped jalapeño pepper and six chopped scallions, white and light green part only. Add two chopped avocados. Mix with 1/4 cup of red wine vinegar. Salt and pepper to taste. The avocado must be covered with lemon or lime juice or vinegar. Otherwise the cut surface turns an ugly gray-green. Does Chlorella Benefit the Skin? How Can I Make Canned Green Beans Taste Good?